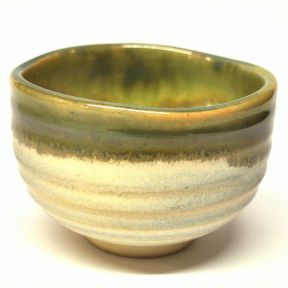 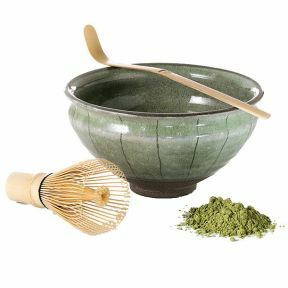 A great gift idea that includes matcha tea, a bowl, whisk and spoon. 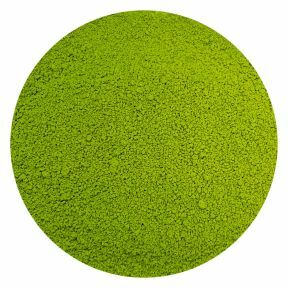 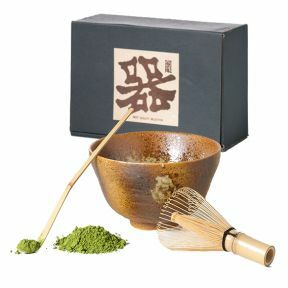 Our Matcha Kit is the perfect gift for the matcha enthusiast...or beginner! 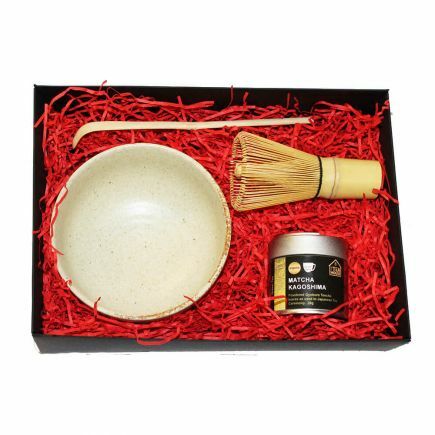 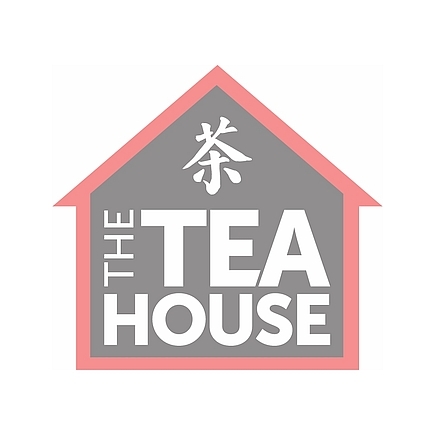 Packaged in a red gift box, this set includes a 30g tin of Matcha tea, an authentic bamboo chasen whisk, a bamboo spoon and a quality ceramic bowl for preparing matcha in. 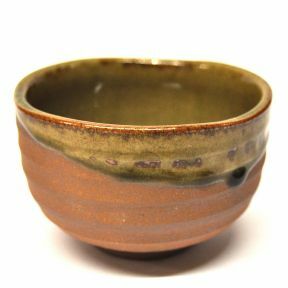 A great gift idea and a great price, too!